Looks like another Obama cabinet appointee has a tax problem. Tom Daschle, ex-Senate Majority leader and Obama’s choice for Health and Human Services Secretary, just paid the IRS $140,000 in back taxes. Business Week reports that Daschle owed back taxes for 2005, 2006, and 2007 based on audit adjustments made by the IRS for his free use of a car and driver. The White House said that InterMedia Advisors, a private equity firm, had provided Daschle, its chairman of the board, with the transportation. 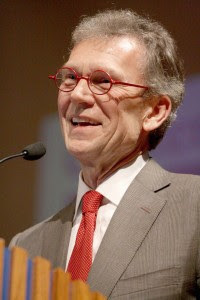 Daschle, Business Week says, has been a mentor to Obama and was initially considered for Obama’s chief of staff. That makes Obama choices Bill Richardson, Tim Geithner and now Tom Daschle all tainted by their own financial problems. And this after Obama has repeatedly said that turning around the economy is job number one. Oh, and don’t forget that Obama’s campaign finance secretary, Marty Nesbitt, had several outstanding tax liens against him. Incidentally, like Geithner, it seems that Daschle only clamored to clear up his tax problem after it became evident that it might hurt his chances of Senate confirmation. Author’s Query: What do you suppose people would have said had George Bush done such a poor job of vetting his cabinet picks? And didn’t John McCain get pilloried unmercifully by the left wing for picking the “unvetted” Sarah Palin to be his running mate? Karma. Ya gotta love it.